Russian MPs propose to change fines into warnings for first-time violations by NGOs | Russian Legal Information Agency (RAPSI). 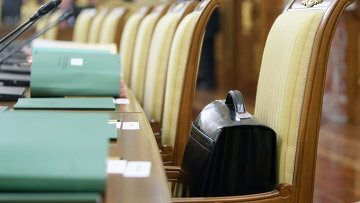 MOSCOW, October 30 (RAPSI) – A bill changing fines into warnings for Russian NGOs in case of first-time violations has been submitted to the State Duma, the document published on the database of the lower house of parliament reads. According to the bill, fines may be lifted in several other cases as well: if a violation is not listed in the Russian Code on Administrative Offenses; if a violation posed no danger to life and health of people, wildlife, environment, state security; there was no damage. Authors of the bill note that currently warning measure does not cover NGOs and only applies to small and medium-sized businesses, individual entrepreneurs and their employees.